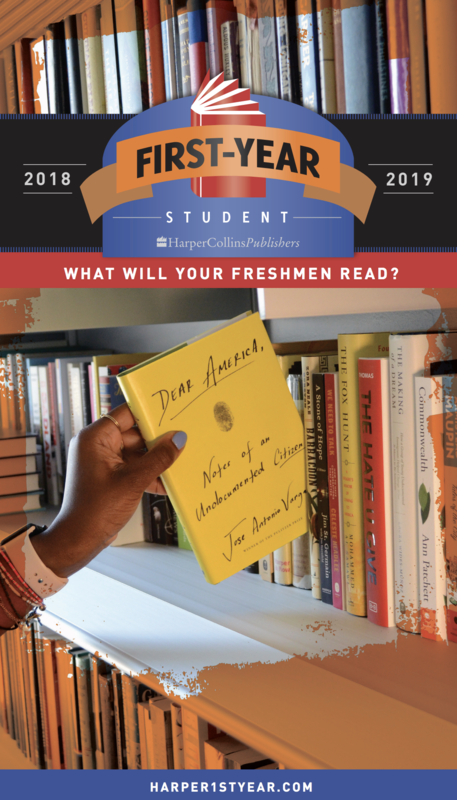 We’ve combed through all of our titles, new and classic, to compile a list of our best books for first-year experience reading programs on one website. Our First-Year Student catalog is available for immediate download here. If you would like print copies of our catalog, please contact us at Academic@HarperCollins.com, and we’ll mail them to you asap! If you need complimentary sample books for your committee members, please let us know at Academic@HarperCollins.com or give us a call at 212 207 7546. Did you miss last year’s FYE speakers? You’ll find video of past author presentations here. Interested in having one of our authors speak on campus? Visit our Speakers Bureau for more information!